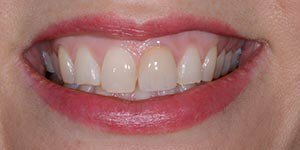 Due to a misaligned bite, Linda had worn her front teeth down, making her	appear older than she really was! 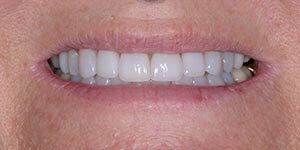 After braces corrected the bite imbalance,	we restored Linda’s smile with beautiful new porcelain veneers. 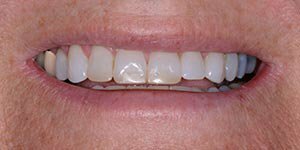 Carmen wasn’t happy with her smile and previously done dental work. 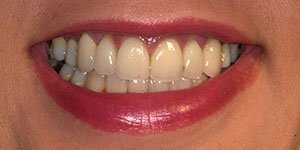 After a short course of orthodontic treatment (braces) to align her teeth	we restored her smile with three porcelain veneers and one porcelain crown. 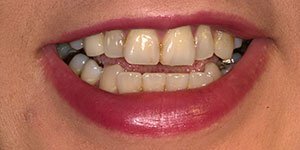 Amy had braces as an adolescent and didn’t wear her retainers. 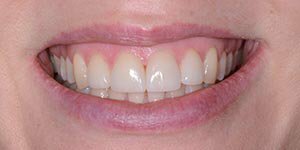 “Instant	Orthodontics” with porcelain veneers gave Amy her smile back.